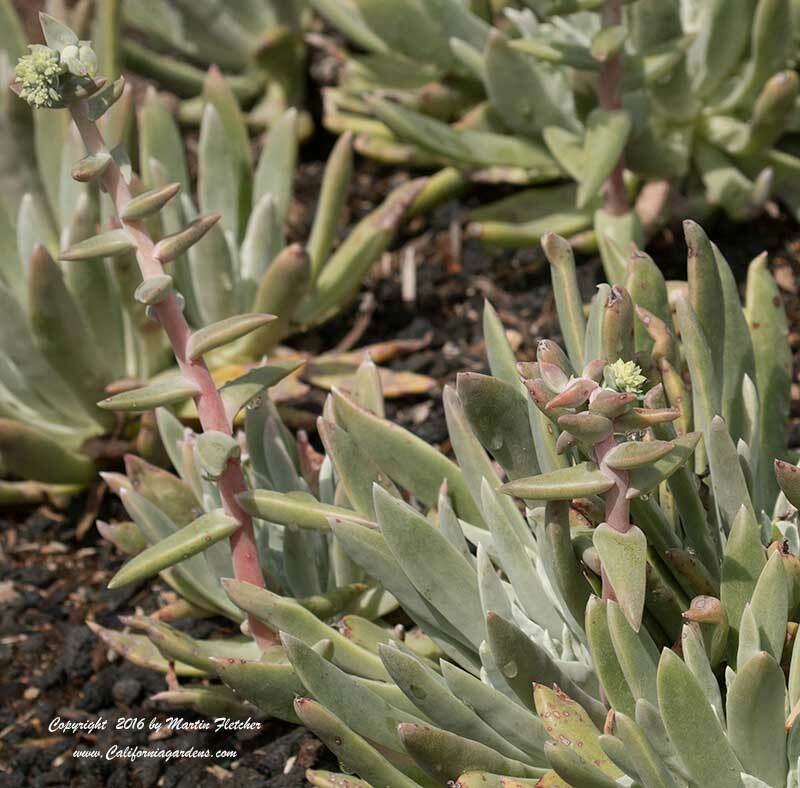 Dudleya caespitosa grows along the coast of California from Los Angeles to Monterey. Sea Lettuce will need some sun protection if planted in hot inland gardens. Dudleya caespitosa requires good drainage, or a good slope to the planting area especially if planted in heavier soils. Dudleya caespitosa is quite drought tolerant will often burn and rot with overhead water. Sea Lettuce has yellow blooms in mid to late Spring. Plants will lose their leaves if conditions become too dry. Dudleya caespitosa is Winter hardy into the low twenties. Flowers and foliage of Dudleya caespitosa - Sea Lettuce. High resolution photos are part of our garden image collection.